Conditions of other two victims weren't immediately released. camera (KATC) A scene from Sunset, La., where state police say an officer was shot and two people were stabbed. 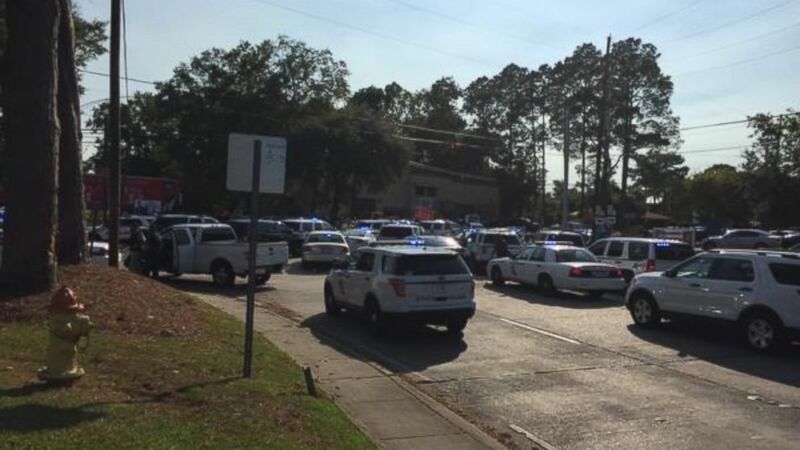 A man who allegedly stabbed two people and fatally shot a police officer at a convenience store in southwest Louisiana has been taken into custody, according to state police. The man drove his car to a convenience store in Sunset, Louisiana, and barricaded himself inside, said St. Landry Parish Sheriff Bobby Guidroz. Officers threw tear gas and stormed the store when the man refused to leave, said Guidroz. State police identified the suspect as Harrison Wiley and the officer as Henry Nelson. The conditions of the two other victims weren't immediately released. 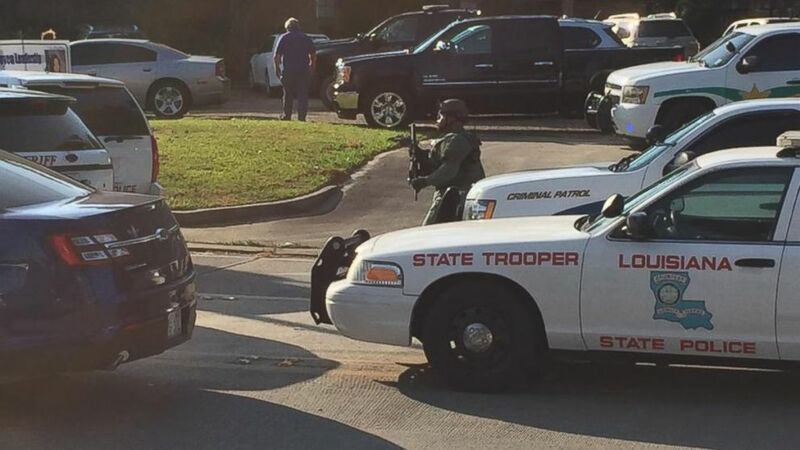 (KATC) A scene from Sunset, La., where state police say an officer was shot and two people were stabbed.